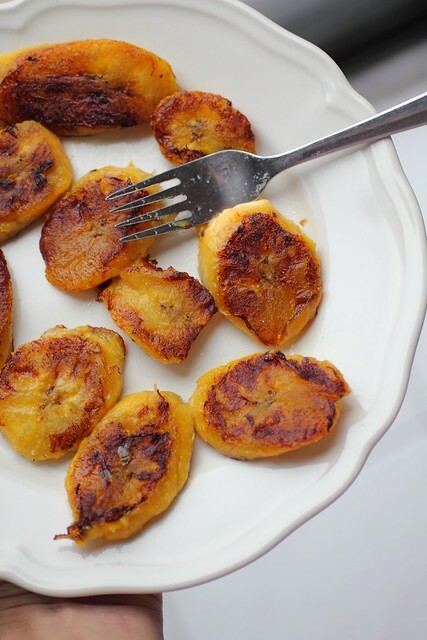 I call this nature's dessert, because it's soft, starchy, sweet and fruity and no fussing required, just a ripe plantain, pan fried and sprinkled with a pinch of salt. A perfect indulgence, I think. If you like sweet and salty things and you want an easy dessert (healthy too, maybe?) 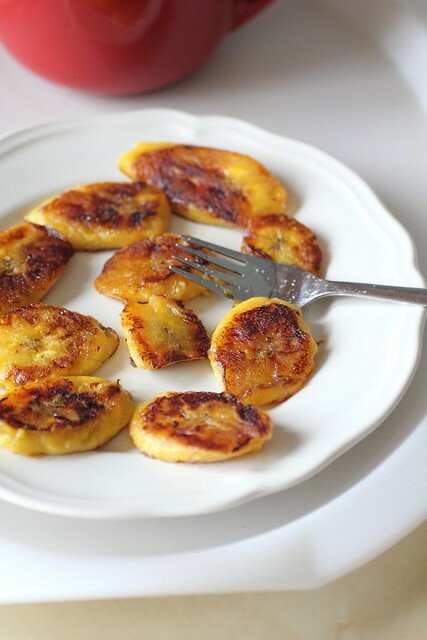 then you'll love this, and even if you're not a fan of banana/banana desserts like myself (you'll probably love it if you're a banana lover) then give it a try. 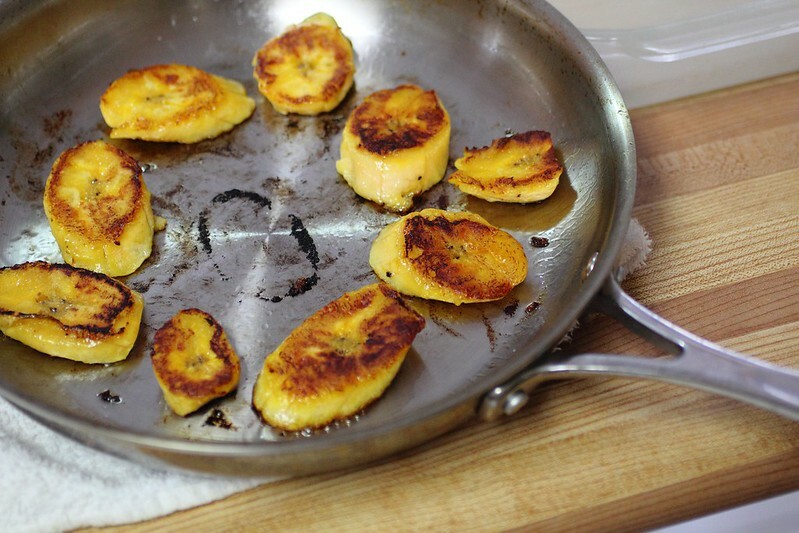 A plantain is that starchy banana that is usually green and found in the Caribbean/African section of your local grocer. You want to find a ripe one that is almost yellow, if not then just set it on your kitchen table and wait for it to ripen. It should be almost black, really, that's when the sweetness comes out, this could take a while but just forget about it and when it's ready it's only a matter of seconds to whip this dessert up. Heat a bit of oil in a skillet on medium high. 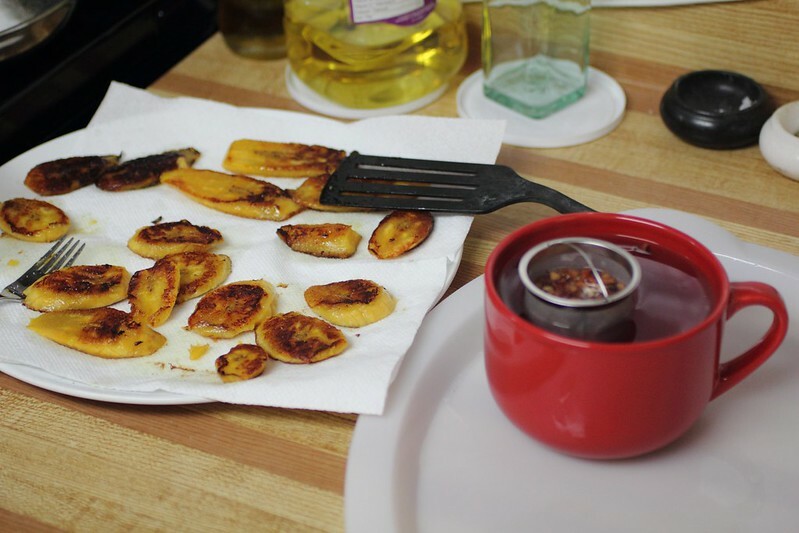 Peel your plantain by cutting off both ends with skin on and then pulling the peel off the middle part. Slice into 1/2 inch rounds or on a bias/diagonal so you have more surface area on each piece to brulee. Now set them on paper towel and sprinkle with salt. Enjoy them right away when they're still slightly crispy. Just eat with a fork, and here I had some Forever nuts tea from David's Tea to go along with it. These look delicious! 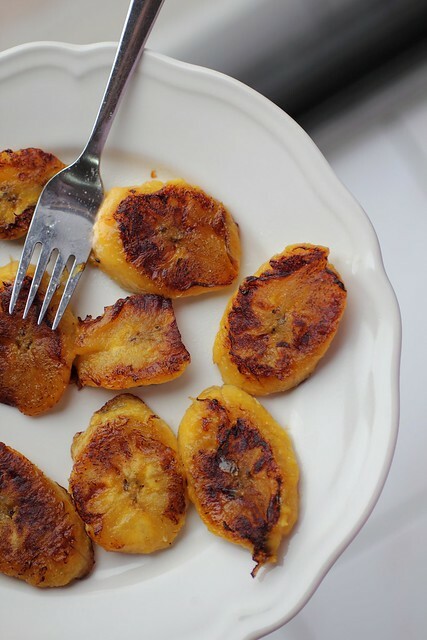 I love plantains, this is a delicious way to cook them. Yum! 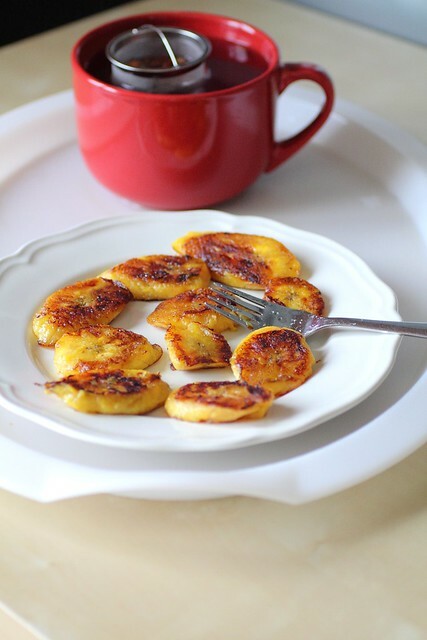 I love some seared plantain..these look perfectly caramelized!